The PromaFlex 3D is a thick flex (700 microns) that gives a 3D effect to your transfers on cotton, polyester, acrylic, and some nylons *. It is available in black and white. Give volume to your markings! This volume perceptible to the touch brings real added value to your markings, with an trendy effect ! 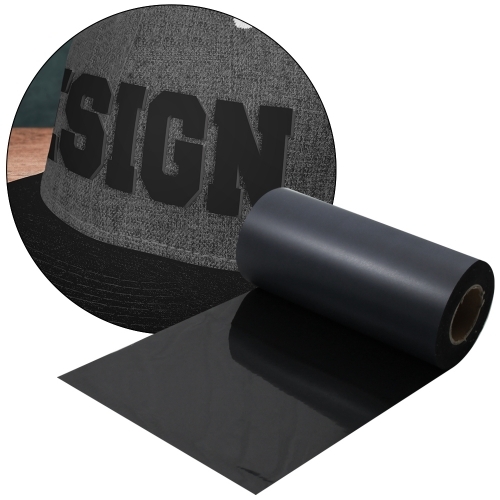 It makes it possible to assert the logo of a mark on a shoe, a polo or a cap. 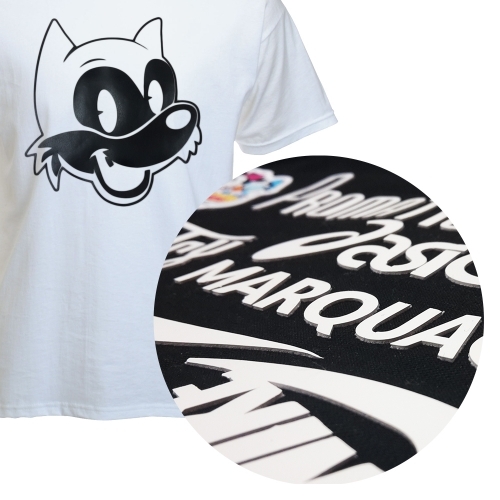 Its thickness of 700 microns limits the possibilities in terms of shrapness, but it will give a sportswear effect to all the logos, letterings, numbers and graphic elements on tee-shirts, sweats, backpack, etc. ! 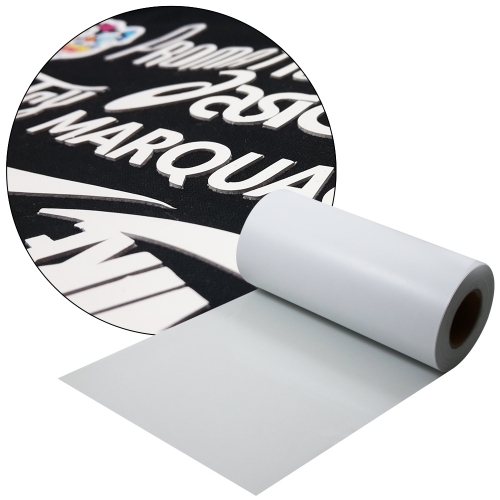 The PromaFlex 3D avoids the migration of sublimation on polyester garment. It can be hot transferred and cut with a plotter or a cutting table. The PromaFlex 3D exists in printable version: discover it here.